The Hulk showed once again that he is the best of the rest in F1, when there isn’t a podium on offer. The Renault had a decent turn of pace at Silverstone as Jolyon Palmer was unlucky not to make Q3. Even then, Hülkenberg was eight tenths faster than the Brit in Q2 before posting a stunning time to qualify sixth fastest, fifth on the grid ahead of the Force Indias, Stoffel Vandoorne and Romain Grosjean, as well as Valtteri Bottas post-gearbox penalty. The German made a decent start to hold position and once Bottas had got past on lap six, Hülkenberg’s race really started as he was able to gradually open up a gap of nine seconds to Ocon before the pair and Pérez were among the last to ditch their supersoft tyres. Even with Ocon trying an extended undercut, Nico kept a net sixth place. Crucially though, the German was ahead of Magnussen, with the Force Indias losing time stuck behind. Then came the final battle and the Renault was a wounded animal. Hülkenberg was struggling with D-rates and not getting full energy deployment on the straights, helping Ricciardo reel him in. The Aussie made the move with a lap to go, as Hülkenberg’s car finally gave in. Fortunately, Vettel’s simultaneous puncture ensured he kept sixth before the car was just about reliable enough to get the German across the line, half a minute ahead of the Force Indias. 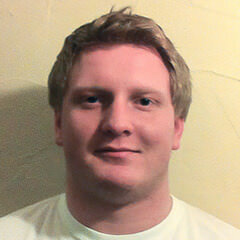 Bottas did the ultimate team job for Mercedes in Britain and brought himself within victory of the championship lead. Bottas made a far better stab at recovering from a gearbox penalty than Hamilton a week ago. Excluding the position he gained from Räikkönen’s late race puncture, Bottas made six places to Hamilton’s four and took three vital points from Vettel with a great move around the outside of Stowe. While Bottas was the disappointing Finn for once in qualifying, he made up for it in the race. By lap 7 he had passed Vandoorne, Pérez, Ocon and Hülkenberg to move up to fifth. Bottas was playing the long game, as the only driver in the top ten to start on softs. Even so, he made them work and kept pace with the Ferraris and Verstappen ahead. Vettel and Verstappen’s early stop helped Bottas attack in clear air. The Finn almost passed Hamilton as he stopped, showing how strong his first stint pace had been. When Bottas pitted on lap 32, he dropped behind the Ferraris, though ahead of Verstappen. Bottas closed the gap to Vettel quickly and passed the German at the second attempt on lap 43, giving him 8 laps to close down his compatriot before Räikkönen’s left front deflated, securing a great result for Mercedes to open a 55-point championship lead and secure just their second 1-2 of the year. 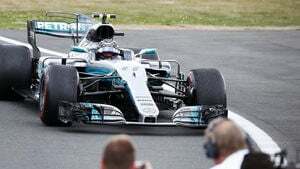 Bottas is really coming of age at Mercedes; without his Spanish GP retirement – the only terminal race failure for the top three, there would be just 8 points between the top three in the championship. It was about time that the Red Bull luck didn’t all sit with Ricciardo but he did a decent job of damage limitation. After looking very impressive on a drying track in Q1, his turbocharger failed, leaving him stuck at the back, already with a gearbox penalty. Starting from the back was always going to be a challenge but Ricciardo made a fist of it. He was 14th by the end of lap one but bit off more than he could chew trying to pass Magnussen around the outside of Luffield. Back to square one. Back down in 18th and without the opportunity of a standing start, the Aussie’s hopes sunk. By lap 11 though, he was already back up to 13th with the easy passes done. Ricciardo’s pace was very good, especially as he could keep life in his tyres, using the overcut perfectly to jump Stroll, Grosjean, Vandoorne and Massa. 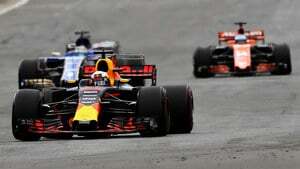 The Force Indias were next and Ricciardo jumped both in one lap as the Aussie smelled blood. Magnussen ahead pitted leaving Ricciardo seventh but he wasn’t done as he chased down Hülkenberg ahead, closing an 11 second lead in the final 16 laps, eventually passing with ease with a lap to go. It got even better as Vettel’s last gasp puncture promoted Ricciardo to fifth to top off a good afternoon’s work and show Verstappen that unreliability isn’t the only reason Ricciardo has twice as many points in the championship – though it is only the third race this season that the pair have both finished. There was some cheer at McLaren for their home race. While all the headlines were bleak with grid penalties for Alonso, the car showed some genuine pace, with the help of changeable conditions in qualifying. 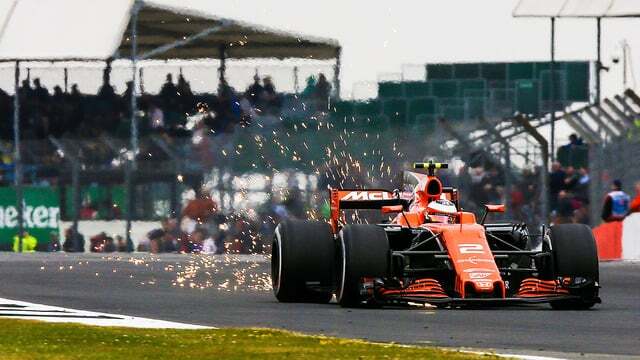 The turn of pace was encouraging but perhaps the best news from Silverstone for McLaren was the performance of their rookie as Stoffel Vandoorne outperformed double world champion Fernando Alonso for the first time this season. 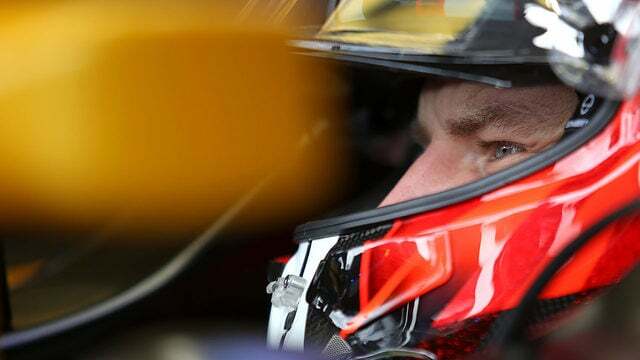 While Alonso was setting his car up for the race, anticipating his penalty, and trying his luck with slicks on a drying track, the Belgian was putting together a strong performance, comfortably making Q2 by 2.5 seconds before squeaking into Q3 by a tenth of a second over Jolyon Palmer. Admittedly Alonso was focusing on race performance but Vandoorne was half a second quicker than his senior teammate, before beating Grosjean to ninth easily in Q3. That brought an extra bonus, as Vandoorne was the last of the drivers to profit from Bottas’ gearbox penalty. Despite losing out to Bottas at the start, points looked like a real possibility for the Belgian as he ran ninth before the pitstop cycle. Unfortunately, the luck ran out as a slow stop allowed Massa, Ricciardo and Magnussen - on a contra strategy - past. The damage was done, even after Magnussen stopped, Vandoorne was in the dreaded 11th place and despite the late drama he was unable to reel in Massa or the Force Indias, but Stoffel’s pace will be a huge relief for the team.